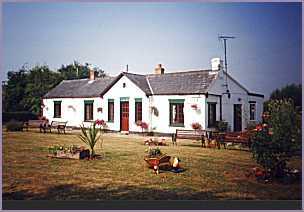 All ground floor, Kilmorie is a Grade II listed chartist smallholding (small farm), modernised and extended now provides cosy, but deceptively spacious Accommodation. Built by Fergus O'Connor, founder of the chartist land company, Kilmorie has an interesting history and is in a conservation area. Quality all ground floor accommodation. 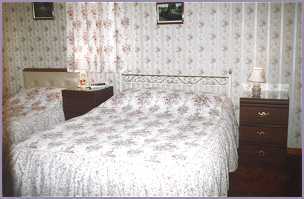 All bedrooms having, tea/coffee trays, digital colour TVs, clock radios, H&C, most have full en-suite or private facilities. WiFi is also available. 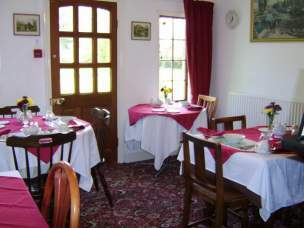 There's a guest lounge with digital colour TV, DVD and video, separate dining room looking out onto our large garden where there's seats to sit and relax. Plenty of well off road (secure) parking. 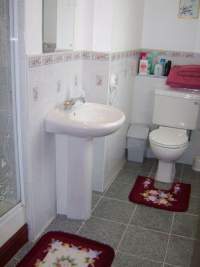 Ideal for the elderly or less able, been all ground floor there are not stairs only 2 steps into dining room and one bedroom. Children (or adults!) 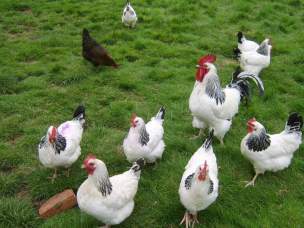 may enjoy meeting (or helping with) our sheep and free range hens who provide excellent eggs for breakfast!! Our animals are organically fed and roam freely. You are welcome to take a stroll around our gardens and paddocks and spot the varied wildlife and birds we encourage to visit. Or take a walk on countryside waymarked footpaths and Bridlepaths that start at Kilmorie. We have stables/grazing, your pony can stay too. Walkers and Cyclists very welcome, cycle storage available. Ideally situated for many places of interest:- beautiful scenery of: The Cotswolds, The Malvern Hills, Royal Forest of Dean, Wye Valley. There are four castles, falconary centre, farm parks, many museums and four rivers. Only 3 miles from Hartpury College, Newent 6 miles, Tewkesbury (with River Avon and River Severn) 7 miles, olde worlde town of Ledbury 8 miles. Cheltenham and Great Malvern both 14 miles. City of Gloucester 7 miles, Hereford and Worcester both 22 miles. So, so much within an easy drive from here! Easy to find, we are 4 miles from Junction 2 of the M50. 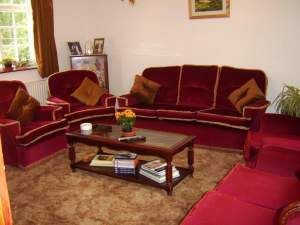 Quality accommodation at excellent value:- bed and full English breakfast from £38.00 per person. Reduced rates children 5-12 years (sorry no under 5's) Most diets catered for by prior arrangement.